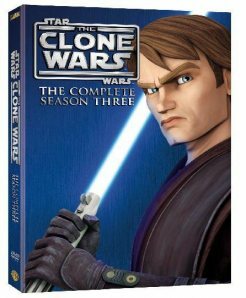 The Clone Wars Season 3 DVD release. All 22 episodes in a 4-disc set of The Clone Wars: Season Three are set for release October 18. Included are cast and crew interviews and extended cut scenes. You can read more here on the official site. TNT debuted their much-hyped Falling Skies series last night, and while it’s too soon to tell how it will fare over the long run, last night’s debut did not disappoint. While I found the first moments (even with the quick explanatory preamble) a little confusing and hard to sort out, it soon became clear what exactly was going on here. Quick plot recap: alien bugs come to earth, knock out all defenses, communications, capitols. Then they land huge armies of bugs and battle droids, kill the adults and capture the kids, making them slaves with these bug-like things on their backs. The humans refer to the aliens as “skitters” because they have six legs, and the growths as “harnesses”. The series opens with the last human defenders fleeing Boston, going in different directions in groups of three hundred – one hundred fighters and 200 civilians. The groups are made up of three hundred because that’s the number the bugs don’t track. The defenders are a mix of experienced military and civilians, many of them young teenagers. The show follows one such group – the 2nd Massachusetts — led by Will Patton (Weaver). His second in command is former professor Noah Wyle (Tom Mason). Along the way, Tom and his squad run afoul of a gang of human thugs; the leader of which (John Pope) is played by Colin Cunningham in a thoroughly enjoyable bad guy way. 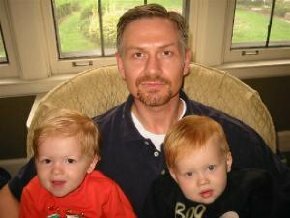 Tom’s wife is dead and two of his sons are with him: teenage Hal and much younger Matt. His middle son Ben is missing. Tom has a comrade in Dr. Anne Glass (played by Moon Bloodgood), and you get the immediate sense that they are friends, and pretty like-minded. They’re sympathetic, enjoyable characters; people with a set of skills that’ve been thrust into terrible circumstances and risen to the occasion. Tom Mason is unmistakably the lead in Falling Skies, and Noah Wyle plays him well. He’s a good combination of smart academic, coping father and man tough enough to get the job done. His combination grounds the show. The other actors seem equally as well-cast. I couldn’t really find a misstep among any of them. I especially liked both of Tom Mason’s sons (Drew Roy and Maxim Knight). The show itself is visually well-done, and the pace is exactly right. There’s a lot of action but it’s interspersed with slower setups and poignant scenes that don’t lay the humans plight on with a trowel. In fact one of the things I like about Falling Skies is that while the bugs are tech superior, they aren’t invincible. They die just like humans do, and the underlying theme is that while things are desperate, there is hope. My sense is that we’ll be getting the unexpected from Falling Skies, and I’m looking forward to seeing more of this series. Naturally they left us with a little teaser – something I noticed right off the bat. The bugs are six-legged so why are their droids bipedal? This weekend during the Spike Star Wars marathon author Paul Kemp tweeted a running ROTS commentary. It was so funny he was asked to put it up on his blog. For those of you who missed it here it is. Today three new Star Wars releases hit book stores from DK Publishing.